Published as an excursus in Trotzig's book on the Gotland bronze bowls, I have put up the detail sof this nice set of pots. The table gives their dimensions. 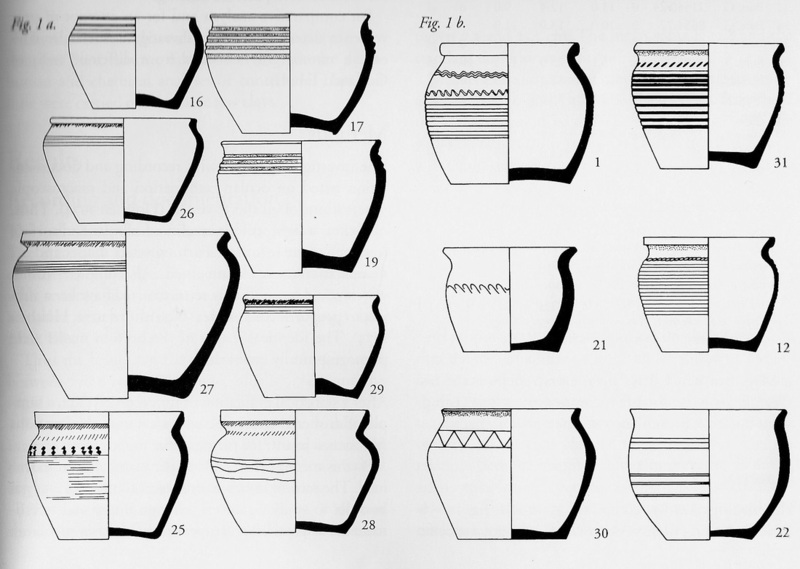 These pots could be used as individual cooking pots, set into the embers, or as drinking mugs. With a lid they can be used to store small amounts of foodstuffs. They were all finished with glitted/burnished surfaces. Fired black they would look very handsome. Because these pots all share an identical mark on the base it has been suggested that they were produced by a single potter over a period of two years.